Meder, Johann. Quadragesimale de filio prodigo. 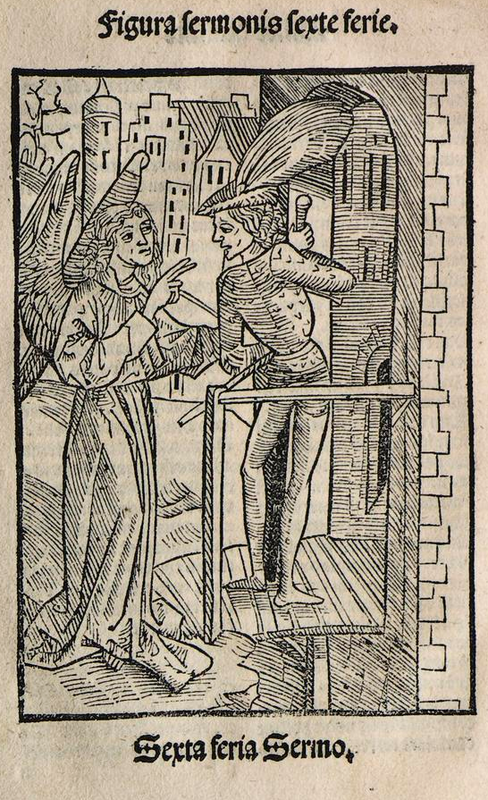 Basel: Michael Furter, 1495. Provenance: Morris. — Richard Bennett. — Sotheby 1898, lot 816 (sold to Henry Wellcome for £7 7s.). — Henry Wellcome. — Wellcome Library (Closed stores EPB Incunabula 3.a.4 (SR)). References: Ellis valuation, fol. 5b, no. 48 (£5 5s.). — ISTC (im00421000). — Poynter, no. 374.